The Extragalactic Background Light (EBL), extending from the infrared through the optical and into the ultraviolet, is the total light from all of the stars (and to a lesser extent, active galactic nuclei) that have ever existed in the observable universe. Knowledge of the EBL is important for understanding the evolution of our Universe and the formation of stars and galaxies. Bright foreground sources from the Milky Way and solar system make direct measurements of the EBL challenging. 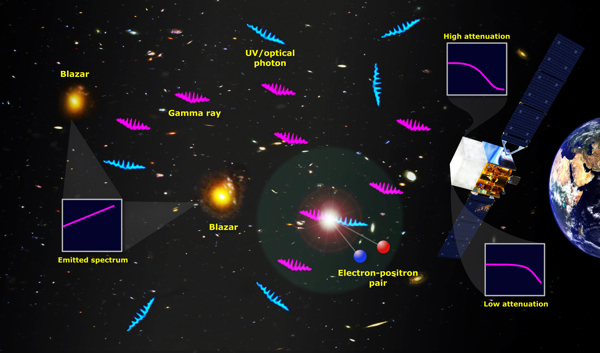 However, gamma-ray astronomy provides a powerful tool for measuring the EBL; gamma rays emitted by distant active galactic nuclei (AGN) may interact with EBL photons, creating electron-positron pairs, effectively absorbing the gamma rays. The EBL leaves a distinct imprint in the gamma-ray spectra of cosmic sources, an attenuation that increases with the distance of the source from us. High-energy gamma rays emitted by distant AGN interact with the EBL creating electron-positron pairs. Effect of the absorption due to the EBL in the spectra of sources at three different distances from us. 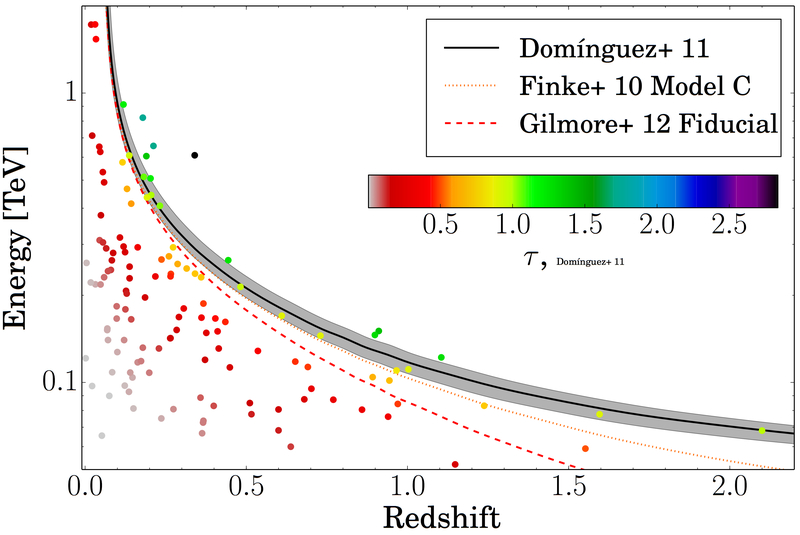 The EBL suppresses most of the flux of distant gamma-ray sources. 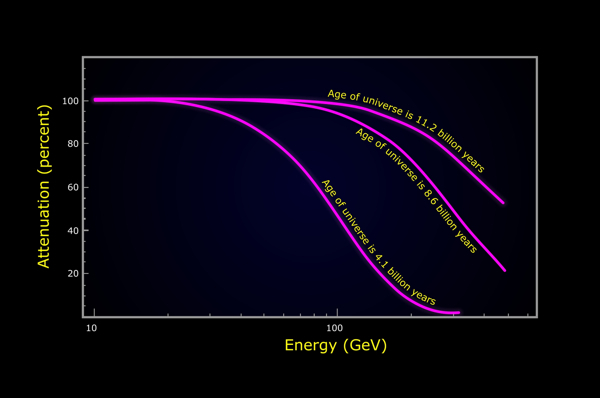 The cosmic gamma-ray horizon refers to that distance at which only ~30% of the source flux arrives at the earth. Observations of the highest energy photons received from sources of various redshifts are used to test models of the EBL.